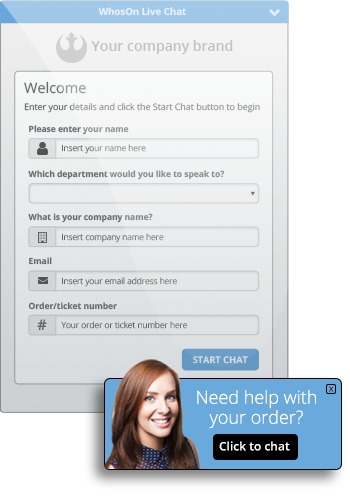 You might want to launch a chat session from key points across your website – not just from the standard “Live chat” button already fixed. So, WhosOn allows dynamic window launching. This means you can launch your inline chat window more responsively, from the click of any website icon, banner, or button of your choice.